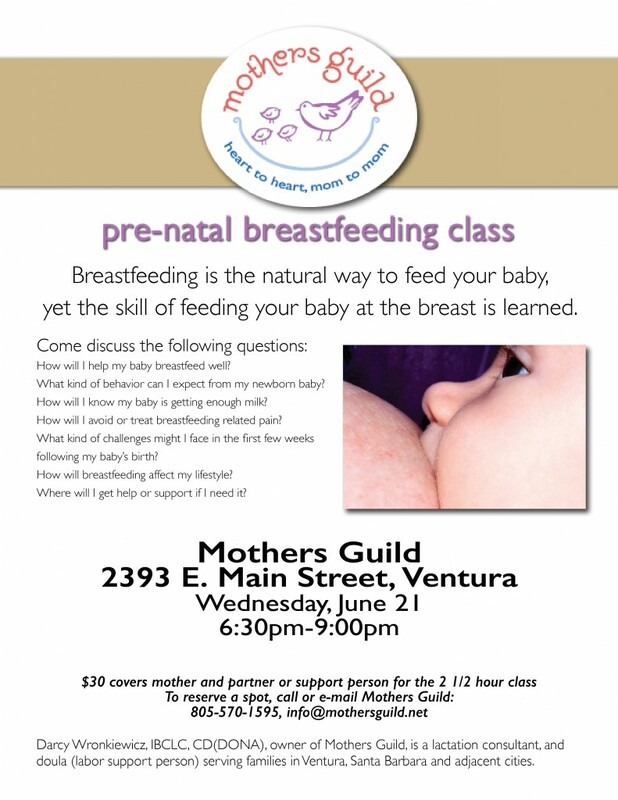 Mothers Guild will be offering a pre-natal breastfeeding class on Monday, April 13th. Details follow. 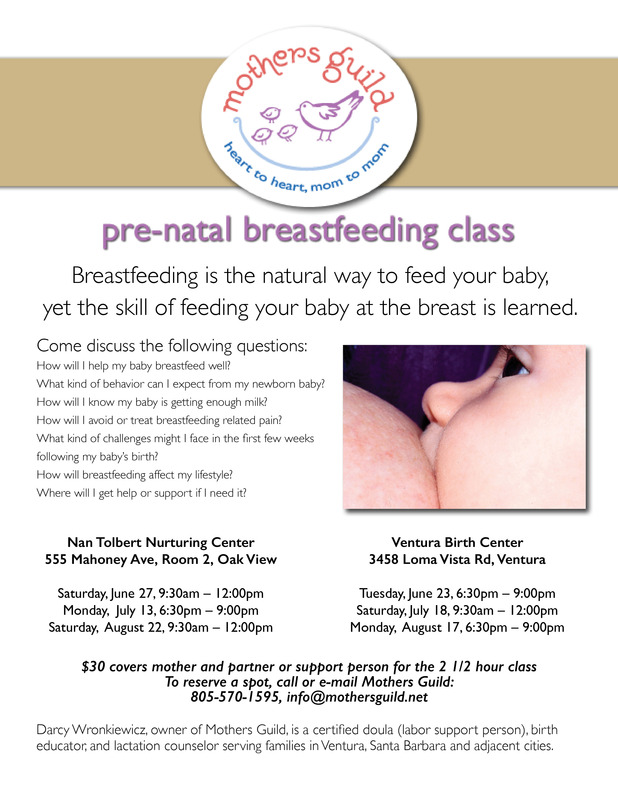 yet the skill of feeding your baby at the breast is learned. 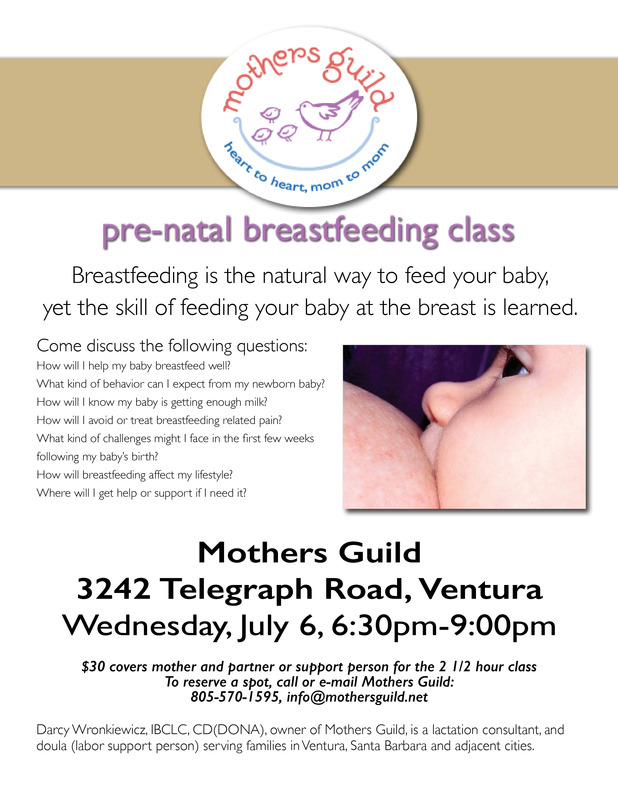 How will I help my baby breastfeed well? What kind of behavior can I expect from my newborn baby? How will I know my baby is getting enough milk? How will I avoid or treat breastfeeding related pain? What kind of challenges might I face in the first few weeks following my baby’s birth? How will breastfeeding affect my lifestyle? Where will I get help or support if I need it?